Nobody likes to work in a monochrome box for 8 hours. Don’t worry, Zuma has a solution. You spend a third of your day at work, so you might as well try to make your office space your own. Here are some easy ways to make your space better, more colorful, and not so boring. Create a wall of color with Post-It notes. They are the easiest way to brighten up any space. Just stick them everywhere and feel your frown turn upside down. 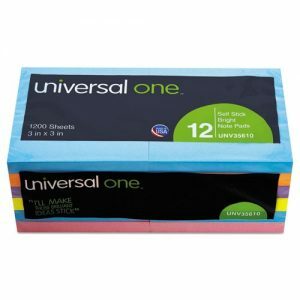 Everyone is always in need of a post-it so be your office hero! Not only can you save the day, but you will have the most colorful cubicle around. Don’t forget all your amazing ideas you want to share at the next meeting. There are so many options out there, get a notebook that fits you. 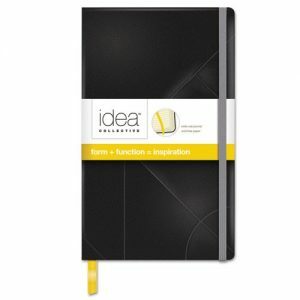 Get the creativity flowing by jotting down quick ideas or just stay organized with your daily responsibilities. Check out the TOPS Idea Creative Journal to help get you to the next level. 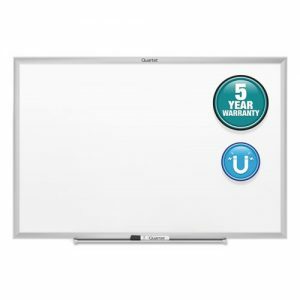 When work slows down or you just need that 5 to 10 min break, make sure you have added a Whiteboard to your space. Get some colorful markers and let the games begin. They’re great for playing tic-tac-toe with coworkers or creating funny doodles that make you and your friends laugh throughout the day. 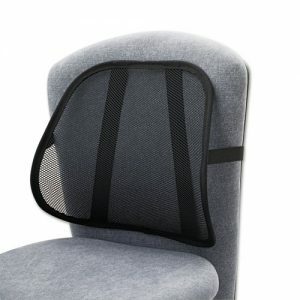 Your chair might never be a magical throne, but it can have an awesome backrest that provides you with the support you need. We have many unique designs that offer comfort and support while promoting good posture. Try the Breathable mesh which allows airflow for cool, comfortable use. Elastic strap secures backrest in place. Ideal for office, auto or home use. We want to help make you more comfortable, and just feel better at work! This entry was posted in Cool & Interesting Stuff, Office Supplies, Office Supplies Shopping Tips and tagged gift ideas, Office Furniture, office products, office supplies, Office Supplies Online. Bookmark the permalink.